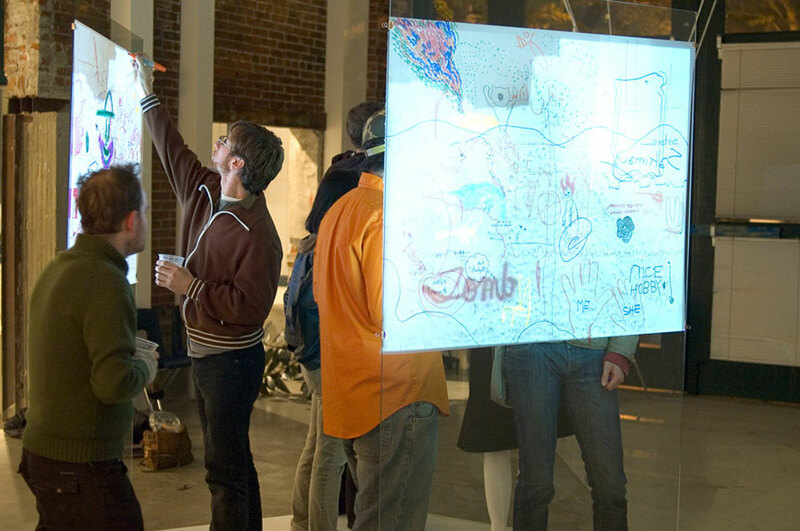 Serious Culture (2006) is a tri-panned projection that forms an enclosed space where the audience is invited to come inside to collaboratively draw on sheets of paper placed on the projection screens. It is within this space that they can control, via sensors, the images being projected using gesture while at the same time creating reverberated acoustic sound that mimics their drawing motions, which are initiated by contact microphones on the projection screens. 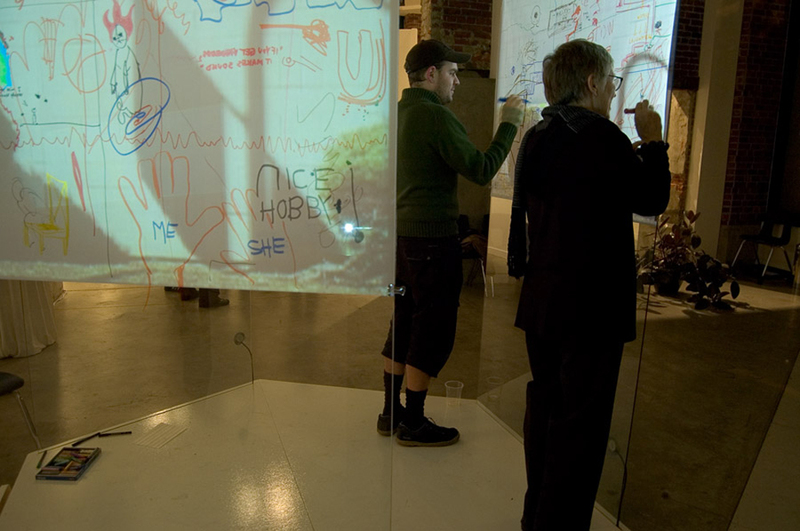 The participants in the piece produce intricate collaborative drawings. Some who are familiar with drawing jump in while others who need encouragement are drawn into the experience through sound and imagery produced by the artwork.